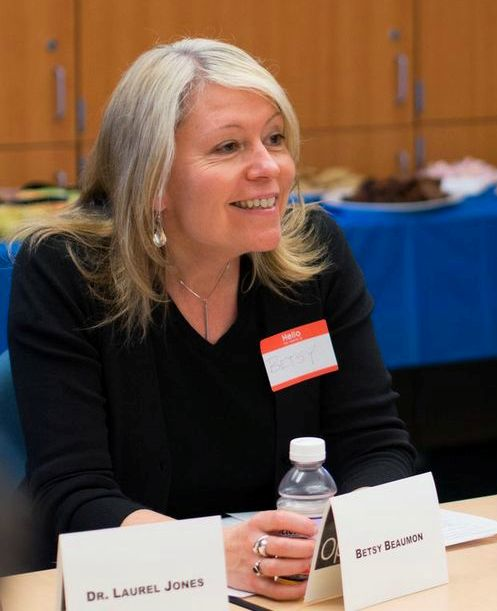 Guest Beneblog by Betsy Beaumon, VP and General Manager, Benetech’s Global Literacy Program. I recently had the honor to speak at the first-ever Braille Summit, hosted on June 19-21, 2013 by the National Library Service for the Blind and Physically Handicapped (NLS) and Perkins School for the Blind. With the goal of promoting braille literacy, this landmark meeting brought together braille experts from around the world to Perkins’ campus in Watertown, Massachusetts. My biggest takeaway from the summit: the time could not be more urgent, and more hopeful, for the future of braille and the prospects of those who need it. That’s why braille is an important focus for us in Benetech’s Global Literacy Program — we know that we must keep braille relevant and make it more available. One of the biggest reasons is that among people who are blind, braille literacy has been linked with higher education levels, higher likelihood of employment and higher income. Accordingly, U.S. federal law supports braille instruction. In what is known as the “braille provision,” the Individuals with Disabilities Education Act (IDEA) of 2004 mandates that the teams who help write educational plans for students with disabilities presume that all blind and visually impaired children should be taught Braille unless it is determined to be inappropriate. What’s alarming is that for decades the number of braille users has been on the decline. And today, braille is not being taught to most blind children. Data from the American Printing House for the Blind’s annual registry of legally blind students shows that in 2012 only 8.8% of legally blind children in public and residential schools used braille as their primary reading medium. Many professionals argue that this decline in braille literacy has led to a literacy crisis in the American population of individuals who are blind. Community concerns have grown so strong that on June 19, the first day of the Braille Summit, the Department of Education Office of Special Education and Rehabilitative Services issued new guidance to States and public agencies to reaffirm the importance of braille instruction and to clarify the circumstances and evaluation requirements under the law. At Benetech, we agree that braille is an essential literacy tool and that every child who needs it has the right to be taught braille. We also know that braille materials must be far more available to braille readers of all ages in order to realize their full benefits. At the Braille Summit’s kick-off event, keynote speaker Peter Osborne, Chief Braille Officer for the Royal National Institute of Blind People, U.K., argued that we must shift from spending on the provision of hard copy braille to the provision of refreshable braille and the associated digital file formats to enable people to read so much more. “As organizations,” Osborne said, “we must liberate spending to focus on the promotion, learning and innovation around braille,” and recognize that we ought to embrace today’s changing economics and technology so that braille can be part of an equation which delivers access to information for all, not just to those who can afford it. We strongly support this position and believe the digital content revolution holds the best promise for the future of braille. The massive shifts in the fields of consumer technology, education, and publishing open the door to combating some of the major obstacles to braille availability – high cost and time to produce hard copy braille books, as well as difficulties in distributing and storing them due to their large size (for example, one Harry Potter book in printed braille stands about four feet high). We are confident that technology can continue to improve the quality of electronic braille such that a blind consumer can expect both immediate AND high quality braille on demand. As we have explained in other Beneblog and Bookshare blog posts, these are exciting times for everyone who has been working to meet the imperative to provide people with print disabilities equal access to published information. The increasing focus on digital content, rather than its printed form, and the shift to electronic distribution of ebooks pave new avenues for removing the barriers to accessibility. At Benetech, we want to ensure that in this brave new world of digital content, braille is as available as any other ebook format to those who want it. In this sense, you could say that we are radical braille advocates. With Bookshare, Benetech’s online library for people with print disabilities, our ebook-based approach to the accessibility challenge has already delivered on the promise of ending the famine of accessible books in the United States. Now, with the new Marrakech Treaty from the World Intellectual Property Organization (WIPO), and our hundreds of direct publisher relationships, we are poised to help deliver on this promise worldwide. Today Bookshare adds around 3,000 books per month to the collection, with our publisher and electronic distribution partners supplying most of these books, at the same time as they go to electronic retailers like Amazon. We also continue to add books from volunteers, staff and outsourcers through scanning and proofing, including student requests. Our commitment to braille literacy means that the entire Bookshare collection of over 198,000 titles (and counting) is available not only for use in text, audio or the combination, played with a wide variety of assistive technology tools, but also formatted for use on electronic braille displays. Granted, due to the limitations of fully automated conversion, this is not perfect braille, and we continuously work with experts to improve the quality of our Braille Ready Files (in the BRF format). Creating a perfect digital braille book, particularly with subjects such as math, still requires a great deal of human preparation and is therefore very expensive. Our belief is that having hundreds of thousands of solid – if not perfect – braille books available to read as soon as they are available to everyone else is far better than getting them much later or not at all. The convergence of standards in digital publishing and major advancements in braille codes – such as the recent adoption of Unified English Braille (UEB) format by the Braille Authority of North America – are on our side. This allows a much broader group of experts to keep working on the problem. Imagine the day when we are ready for UEB launch: the entire Bookshare collection will be made available in UEB with a click of a button! The road toward full access for braille readers has a number of other hurdles that must be overcome. One major roadblock is the affordability of braille reading tools. The cost of electronic braille displays remains prohibitively expensive for most blind people in the world. We believe that every reader should be able to have a braille display and we therefore support the efforts to bring this cost down, especially for those least able to afford it. We are now directly participating in the DAISY Consortium’s Transforming Braille project, which seeks to dramatically lower the cost of braille cell technology, the fundamental technical building block of a braille display. This is important here in the U.S., and critical for the inclusion and empowerment of people in developing countries. Another major challenge involves the graphic content in ebooks, such as pictures, charts, and diagrams, formulas and special symbols. Images are currently omitted altogether in electronic braille formats and require extensive human intervention to produce in an accessible, tactile form. In response to the need to make accessible images cheaper, better, and more cost effective, we created the DIAGRAM Center with funding by the U.S. Department of Education Office for Special Education Programs (OSEP). Through this R&D Center, we are working to revolutionize the availability of accessible images and tactile graphics by targeting standards and developing open source tools that help close the gap between what technology can do automatically and what requires expert human work. 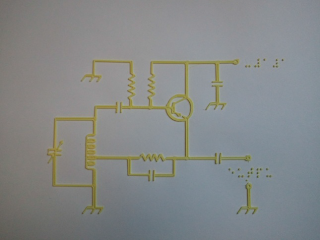 A 3D graphic test on paper substrate of a circuit diagram. 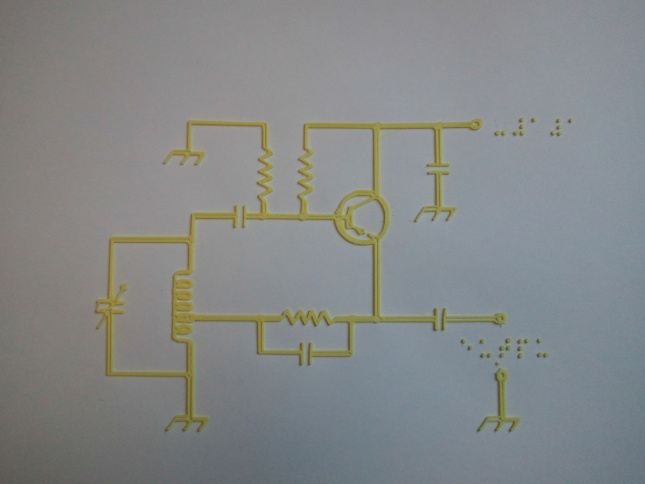 Image by the National Braille Press, a DIAGRAM subcontract. We are addressing key questions such as: When is a tactile required? How can we make tactiles easier to produce, use and share? And how will changing technology impact tactile design, production and use? Against each of these questions we are targeting projects on which we collaborate with some of the leading experts in the field. DIAGRAM projects include automating a tactile graphic decision tree to target the efforts of experts; multiple projects around 3D printing as an inexpensive, emerging output format for tactile objects; our Poet tool for crowd sourcing image descriptions and MathML; tools to read QR codes as labels on tactile graphics to increase available information; and work in whole new haptic graphical models for fully electronic tactile experiences. We are also actively pursuing legal approaches to allow sharing of image descriptions and tactile graphics files to reduce costly re-work by underfunded schools and nonprofit organizations/NGO’s. We are developing many of these free tools with publishers and content creators in mind and in consideration of the online platforms more and more people use to author and publish information. As the entire industry is changing the ways in which content is produced and as digital content becomes increasingly media rich, we want to ensure that all content that is born digital is also born accessible. Through intense collaboration, we are advancing open tools and standards so that accessibility is built into mainstream products. The future of braille, empowered by innovations in technology, is bright. And while the advancement of technology presents new types of challenges for accessibility, we at Benetech see them as tremendous opportunities for making content truly and universally accessible. New technology will allow breakthroughs that will continue moving people who have vision impairments toward a better tomorrow. With cooperative and coordinated efforts across many communities, we can achieve a future in which new technologies improve braille proficiency and life outcomes for braille readers. Please join us in realizing this “radical” future! Bookshare is participating at the National Federation of the Blind’s National Convention in Orlando, Florida on July 1-6, 2013 and at the American Council of the Blind’s 52nd Annual National Conference & Convention in Columbus, Ohio on July 4-12, 2013. We’d love to meet you there! We Have a Treaty…and It’s Great!